I was also #15 end of season with this list last month — for verification consult the official rankings. This post is mainly meant to be helpful for people who already have some experience playing freeze mage — there are plenty of other guides which deal with the basics — laughing’s posts from last month are both very high quality. I also still take inspiration from the old Trump-Otter videos, despite how dated they are. It will also be of interest to people trying out the winrate by card analysis method (there were a couple posts about this with titles about science last month). Thaurissan is incredible. Thaurissan is played pretty much every time it is picked up and has a much higher winrate when played than the average winrate. This fits with my personal experience as well. As a result of this, I have changed my mulligan strategy to alway keep thaurissan, in every matchup, except if I am going first against an aggro deck and I don’t have a 2 drop. Antonidas seems to be more important than pyroblast, based on games played. So probably cut pyroblast over antonidas. The coin is apparently very good. Not entirely sure why — maybe its just a mana optimization thing/wanting to be reactive. Illuminator is good — not quite at the level of statistical significance, but definitely good. Maybe some is upward bias due to it only getting played in good positions, but it gets played pretty often, with almost as many plays as thaurisan, and more plays than all the other one-ofs. This stat of course doesn’t answer whether illuminator is better than healbot. The theory for illuminator over healbot is basically that illuminator heals 8 for 3 mana, because it is a must-remove target, while opponents can generally just ignore the healbot body. Moreover, it can be awkward to remove illuminator when combined with freeze effects; sometimes it can just run away with the game completely, healing 12 or 16. I’m not entirely sure why illuminator has not been seriously played/considered in freeze mage before — it seems better than healbot in pretty much every matchup, with particular benefit against classes that struggle to remove it like palladin. I will note that it requires a bit of thought/changing the way you play. For example, sometimes it can be right to play block over barrier when you are holding illuminator (so that you get damaged, and so that the secret sticks), and sometimes you have to wait on barrier so that you can play it with illuminator. Mad scientist is good — but we knew that already. Acolyte of pain is good — especially compared to loot horder. Some people have been cutting acolyte for loot horder — this data seems like reasonable evidence that that is a bad idea. Acolyte in general is really good against aggro decks because it can farm cards while killing minions, or force bad plays to deny draws. Burning cards is the most frequently cited reason for not playing acolytes, but playing illuminator and cone lowers your overall curve, and burning 1 card is not really bad — just think of it as the card at the bottom of your deck. Freeze mage rarely goes through all the cards these days, although it happens a lot more than with other decks. Flamestrike v. blizzard v. cone: These are all board clear/stall cards that deal damage, so they seem relevant to compare. Blizzard jumps out as doing remarkably bad — it is both played less than flamestrike and has a lower winrate. This is somewhat puzzling to me; maybe it just reflects a bias towards delaying play of blizzard/only playing it in losing situations. Cone however is played in mostly the same situations as blizzard, so its similar winrate and higher number games played indicate that it is correct. I’ve found it very useful in almost all matchups — there are just a lot of midrange threats floating around, and dealing 1 damage is pretty good agaisnt palladin. Winrates By Class: Note there is some small distortion due to playing a few games with tempo mage variants. Yes, really. I think there were 2 games that my opponent could have won with better play, but this matchup is about as bad for priest as the control warrior matchup is for freeze. 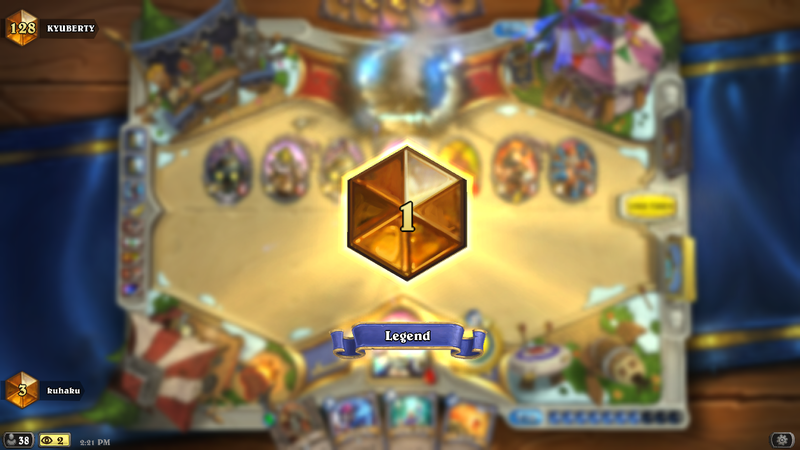 Lots of aggro druid helped boost this, but I think the midrange winrate is still around 60% in favor of freeze. I think this is the hardest matchup to learn how to play as freeze mage; laughing’s stuff from last month really helped my thinking on how to play this matchup — sometimes you want to control the board, fireball threats, and win by sticking a minion, and other times you want to just go for the burn plan. Keeping frost bolt for aspirant has been a good strategy. Well-played tempo mage without mirror entity can be difficult. This is a matchup where disguising your deck as tempo/mech early on can pay off big, since then they will continue to play scientists/secrets, and maybe be less aggro. Mix of face and midrange, not too much flare. Midrange is a kindof similar matchup to midrange druid in that your path to victory can change, although you are less worried about heal. A few extra wins from playing against zoo. Handlock is a really interesting matchup — i’ve learned that early minion beatdown is really important, as well as drawing thaurissan. A few annoying lists with massive amounts of heal; the winrate against secrets is a bit higher. I really wish this class still existed. I’m a rogue player at heart. Only control now! (unless midrange patron is a thing) Note many of these wins were not with freeze, or were against lower-ranking patrons. Control is basically an autoloss if they get early justicar, but I have managed to beat a few control warriors so don’t conceed at the start. Know your opponent’s deck. This is super important for allowing you to delay your freeze turn/alex turn, when you know they cant have burst to pop you, and for knowing how much heal they have, so that you can decide on the burn plan. On the subject of doomsayer: You mostly don’t expect it to go off. Instead, it mainly has value as a tempo card, forcing bad plays for your opponent. For example, cone + doom is a great turn 6 even if you don’t freeze the whole board because it denies the on curve dr. boom. This means nova-doom turns should often be determined by how much nova value you are getting, not based on wanting the board clear. I was in the top 16 part of the blizzcon qualifiers in 2014, but unfortunately didn’t qualify this year. I mainly play rogue and mage, but I also enjoy nice simple games of druid. I’m a longtime reader of the subreddit, and infrequent question answerer. Sorry for the ugly formatting — hopefully the content is worthwhile nonetheless. I do not currently stream, but if I ever did it would be under the name kuhaku172.